A guide to installing your Android TV Box with ScreenCloud’s signage player in a few simple steps. When it comes to digital signage you can use any screen to get started. No investment in fancy hardware or expensive specs needed. If you already have an Android TV, great. You’re ready to get started instantly by downloading ScreenCloud from the Google Play App Store. If you don’t have an Android TV but you’d like to still run the Android operating system (OS) on your standard TV screen, that’s where a device like the Android Box comes in. An Android TV Box, or Android Box, is a device that runs the Android operating system. It’s pretty useless on its own, but when paired with a piece of hardware (like a screen) you get access to the same system that currently runs Android phones, tablets, screens and computers around the world. Just like any other “set box” like a Sky box, a Kodi box or a set TV box, it makes any dumb screen smart. Without the cost of investing in an Android TV. The benefit in digital signage, is that you can buy an Android Box and plug it into any regular screen. 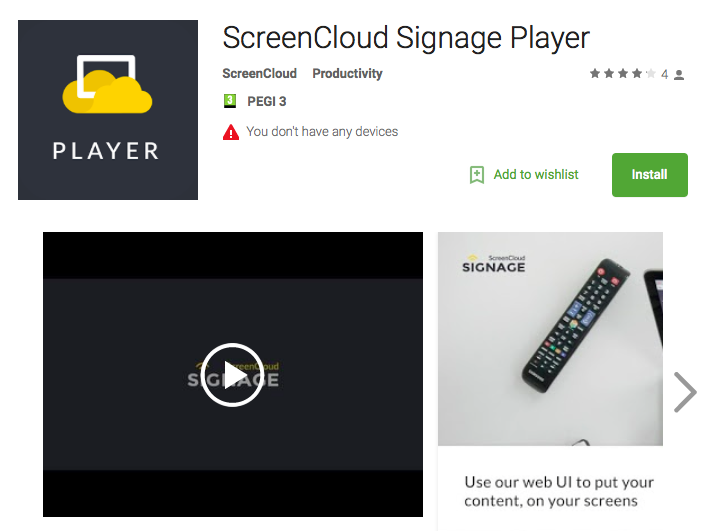 Once hooked up, your screen becomes smart and you can use the Google Play store to download a digital signage app like ScreenCloud in a few simple clicks. Whereas an Android TV may cost you a few thousand dollars, an Android TV Box could be less than $50. In this guide, we’ll walk you through how to setup your Android TV Box and get rich digital content showing in mere minutes. Use a HDMI cable to connect your Android Box to the back of your digital screen. Plug in the power cable to your Android Box and plug the other end into the mains. Turn on your Android Box and connect your TV to WiFi. This should come up automatically and allow you to choose your network. Open Google Play from the homescreen of your TV. This will either look like the shopping bag with the colored triangle (as shown below) or the newer triangle on its own. Then search “ScreenCloud” and download the ScreenCloud Signage Player app for Android. Once downloaded, launch the app on your TV and make a note of the pairing code that comes up. This is what you’ll use to match up your Android Box and your web-based ScreenCloud account. 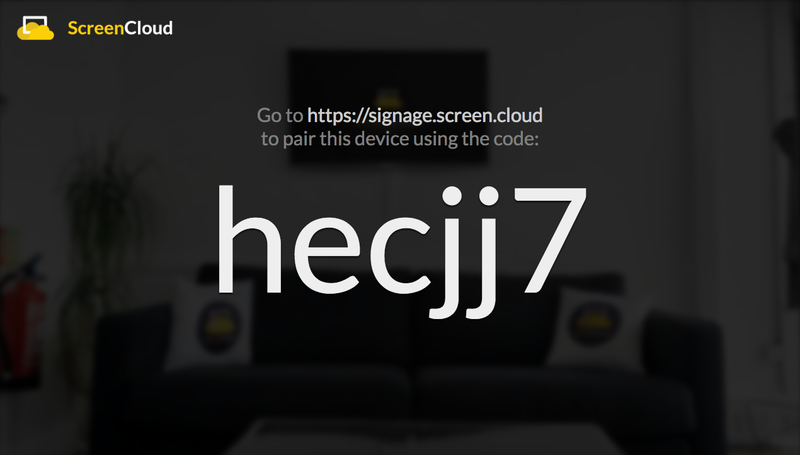 Once you have your pairing code you’re ready to go to signage.screen.cloud/ on your laptop or PC and sign up for a free trial. If you already have a ScreenCloud account you can log in now. Once you’re in, click the ‘add screen’ box. This is where you’ll enter the pairing code to connect your TV screen (and Android TV Box) to the account where you’ll manage your content. Once this has been entered that’s it! 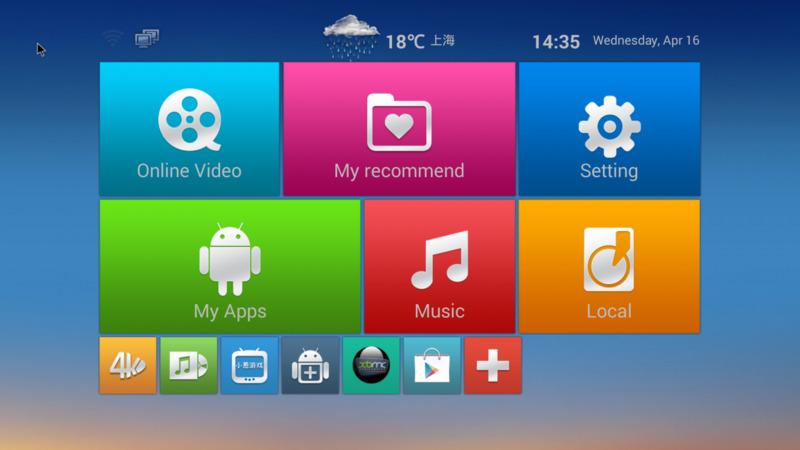 You’re synced up and able to use your Android TV Box to control your TV screen quickly and easily. 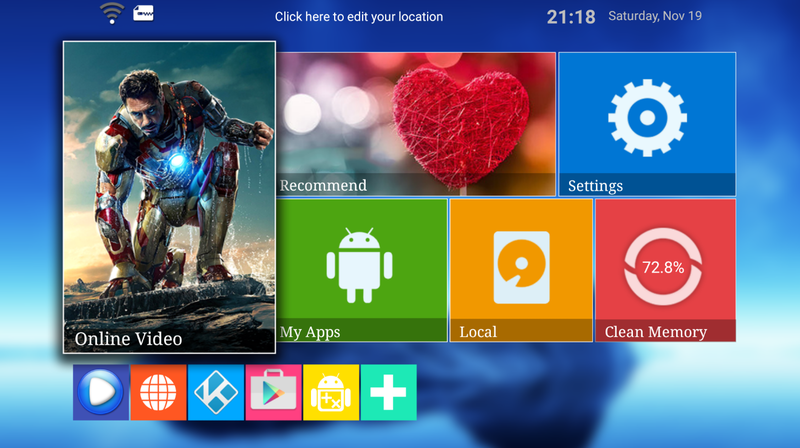 Digital signage and your Android TV Box = simple! Has it ever been that simple to make a regular ol’ TV smart? We don’t think so. If you have more than one TV that you’d like to show digital signage on, you can follow exactly the same steps within the same ScreenCloud account. By naming each screen and adding them to groups, it’s easy to segment different content for different screens, plus add playlists and scheduling. When it comes to creating content you have a ton of choices. You can upload your own content including PDFs, images and videos, or you can head over to our App Store and choose from more than 50 apps. 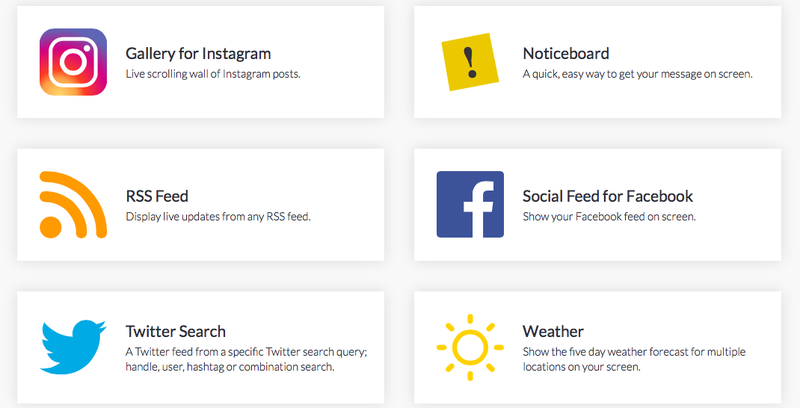 This makes it super simple to add social media, news feeds, live traffic information, presentations and more. It really is that easy. Select your content, set up a playlist and drop it into your schedule. Before you know it, you’re powering up your TV using your Android TV Box as a powerful digital signage display. Ready to get started? Grab your Android TV Box and get started today.